Some carrier variants got it earlier, some a little later, while others were kept waiting until just a few days ago. 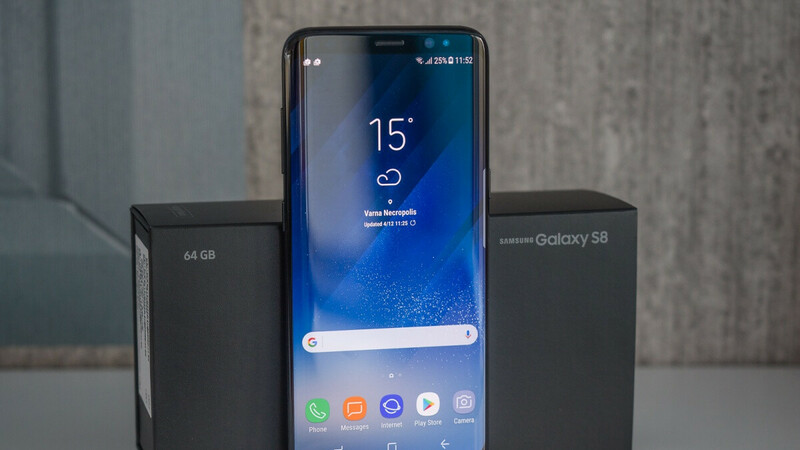 But all's well that ends well, and after all four major carriers managed to deliver official Android 9.0 updates over-the-air to the Galaxy S8, S8+, and Note 8, it's finally time for Samsung to tie up the last remaining loose ends by rolling out stable Pie goodies for US unlocked models of the company's three 2017 flagships. According to several elated Reddit threads supported by dozens of similarly ecstatic or simply relieved comments from previously disgruntled users, the latest batch of Android Pie makeovers started reaching their destinations last night. As always, it's hard to cover the entire nation right off the bat, so depending on where you live and how lucky you are, you may have to wait a few more hours or even a couple of days for a software update download notification. In the meantime, you could make sure your device has enough free internal storage space to go around. After all, you're looking at a mighty hefty goodie pack tipping the scales at roughly 1.5 gigs, with a bunch of proprietary One UI optimizations and improvements baked in alongside Google's standard Android 9.0 stuff. We're talking everything from Adaptive Battery and Adaptive Brightness functionality to more intuitive gesture-based navigation, an interface redesigned around one-hand operation, a system-wide night mode, and many other general performance enhancements. On top of it all, you also get Google's March 2019 security patches, which is a tad disappointing but not entirely shocking. These official Pie-flavored renovations for the 2017-released Galaxy S8, S8+, and Note 8 could also make the three high-end phones more appealing than ever for bargain hunters interested in silky smooth, modern software. Unfortunately, the unlocked Galaxy Note 8 is currently available from Samsung at a ridiculous price of $900. Meanwhile, the S8 and S8+ can be purchased for as little as $400 and $490 respectively at the time of this writing with no carrier commitment. Of course, better deals could be right around the corner as well. thats not samsungs fault but sprints fault. thats why no-one else is complaining but sprint users. Got my s8 updated to PIE and its running smooth. No need to update to the bleeding edge tech. This phone is still fast and now with the new OS its better then ever. Great update in every way except two. They ruined the multitasking, now having to go through a couple extra steps to use apps side by side. And whether by design or just a bug, the os is killing everything that is in the backround. I cant open more than 3 web pages without it refreshing everytime I go back to my last tab. Extremely aggravating.